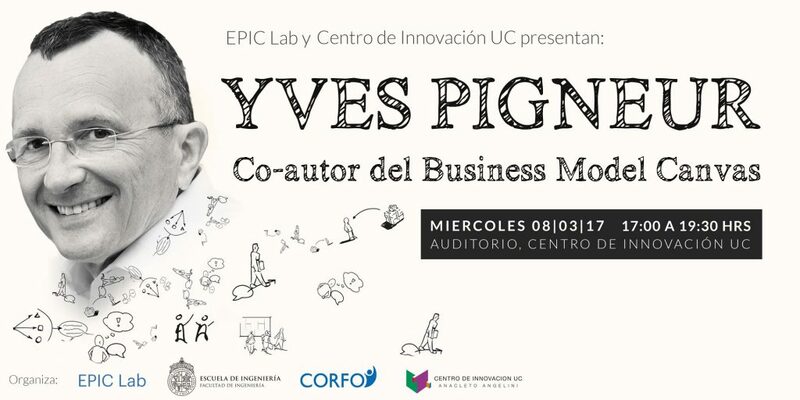 On March 8, 2017 Yves Pigneur, co-author of the book “Business Model Generation” (well known as “the Business Model Canvas”) was presented by EPIC Lab and the UC Innovation Center. More than 100 attendees participated in this event, including policy makers, companies, business accelerators and entrepreneurs. All of them had the possibility to participate in a workshop, as well as a meet-up with Yves Pigneur. In this line, Yves Pigneur is one of the most prominent academics and consultants in the field of innovation, and he has been working in the field of innovation for many years. The subject As EPIC Lab is an honor to have been able to manage your visit to our University thanks to the UC Innovation Center. 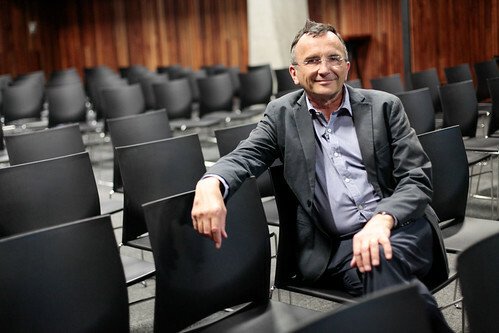 “Said Rodrigo Frías, Executive Director of EPIC Lab. “Business models are directly associated with innovation. Nowadays, evidence shows that those organizations that are not willing to innovate, they will fail. From this perspective, Yves Pigneur is one of the most relevant authors in this field. Therefore, for EPIC Lab as well as the UC Innovation Center, it has been an honor to have Yves in our University” – Rodrigo Frías, Executive Director of EPIC Lab. We invite you to watch the video and click the photos.